Most of all we in NIA and in Jamaica, more broadly, wish to specially appreciate those who have travelled from far and wide, from as far as Argentina in the South to Germany in the North, and from so many countries in between, to be here with us as participants in this Regional Meeting of the Americas Department of Transparency International. We at NIA are particularly honored as NIA is one of TI’s most recent ‘official national contacts’ – so to speak one of the newest kids on the block – we are honoured to host so many experienced architects in the building of integrity and so many seasoned combatants in the struggle against corruption, that scourge which afflicts, to one extent or another, all the countries from which each and every one of us comes. We look forward with eagerness to learn from you and over the next few days to sharing our experiences with you. And our experience has been quite rich over the past six months since our launch on International Anti-Corruption Day in December 2011, and of course, building on experiences prior to that launch in the public sector network of National Integrity Action Forum (NIAF). 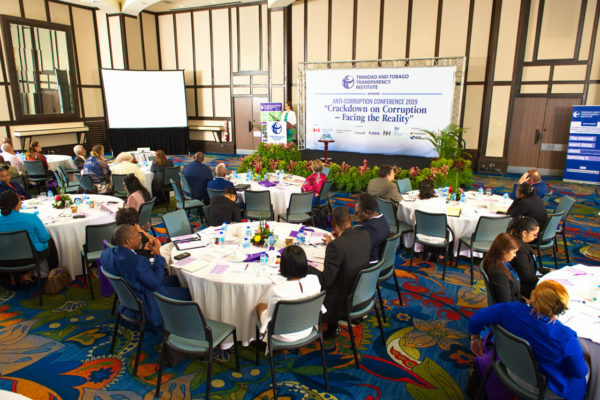 Overall, we are learning and Jamaica is experiencing the extent to which Jamaica’s development is impeded by corruption and the extent to which our imperatives in the combat of corruption are aligned to strategic priorities of TI, guiding the organization to the year 2015. First and foremost, raising the levels of public awareness and building public demand for action against the corrupt is integrally related to the process of empowering the people to play a critical role in combatting corruption. Only the people can stop corruption, not least of all, in building integrity within themselves in their day to day relationships and in deterring, as well as in ensuring punishment for, the corrupt, particularly in high places. Put simply, the people won’t get involved unless they see results and, conversely, they won’t see results to the extent necessary and possible unless they get involved. Illegal extractions in bribes and kickbacks from the revenue stream by the corrupt. Building awareness of these linkages, too often hidden and obscured, is indispensable to combatting corruption and hence this has been a major focus of NIA. Happily we are seeing signs in the talk shows, in the print media, in TV discussion programmes, in barber shops and at bus stops that this awareness building is having an impact. NIA’s experience is also teaching the importance of not regarding all politicians, worst all persons in authority as corrupt, but being able to dialogue with mutual respect with interested members of Government and Opposition towards building integrity and strengthening networks to combat the corrupt, wherever they may be. Hence, we are lobbying for the existing anti-corruption laws to be enforced and for new legislation to be brought speedily unto the law books. There is much more to be done, but we note progress to which NIAs work has made a substantial contribution. For example, for decades the Representation of the People Act (ROPA) has been violated with impunity by election candidates who fail to make the necessary returns in accordance with the law. Since this year, in response to my request, the Director of Elections and the Electoral Commission of Jamaica (ECJ) have been naming these delinquents in the interest of transparency. We appreciate that forward movement but the next step must be to ensure exemplary punishment. Similarly, we are seeing a trickle of enforcement, after many years of inaction, of the Parliament Integrity of Members Act and of the Corruption Prevention Act, Jamaica has now recorded two or three prosecutions in relation to the offence of ‘illicit enrichment’ and increasing seizures of illicit and criminally acquired assets under the Proceeds of Crime Act (POCA). NIA records appreciation to the authorities and encourages continued enforcement of the law without fear or favour. But new legislation is urgently required, particularly to plug the loophole relating to campaign finance. A loophole that allows criminal and commercial money to influence politicians to facilitate protection for the corrupt and to buy favours at the expense of the public interest – even to capture important governmental authorities and, ultimately, endanger the state itself. I am happy to see that both the last Government and the present Administration have committed to deal with campaign financing regulations. With strong advocacy from NIA and from civil society, the last Parliament adopted, albeit with concerns, recommendations from the Electoral Commission of Jamaica towards this end. More recently, the Minister in charge, the Honourable Phillip Paulwell, has responded to a letter from me giving the assurance that legislation to regulate party campaign financing shall be “promulgated before the end of this financial year”. This would be a historic step for Jamaica and a first for the Caribbean, the ensuring of which NIA shall continue to work. 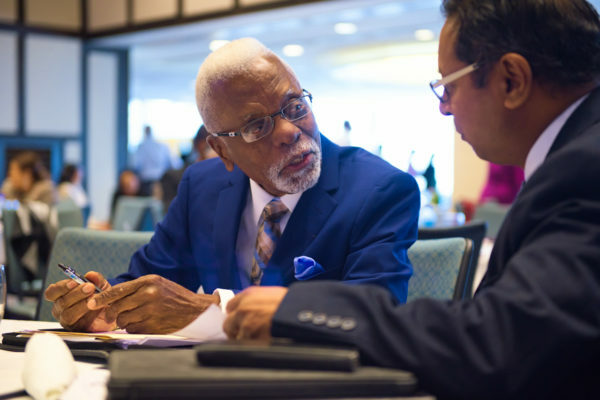 But as Jamaica’s needs and as the strategic priorities of TI indicate – in addition to empowering people, getting good legislation and enforcing anti-corruption laws – the struggle against corruption needs institutions that practice integrity in their internal governance and function effectively to punish corruption. In this regard I was pleased to hear that Jamaica is now nearing the completion of a Code of Conduct for the judiciary. NIA applauds the work of the Honourable Chief Justice, her team and all those who are working on this project. Similarly, we appreciate the establishment of the website, the publication of Annual Reports and prosecution protocols by the Office of the Director of Public Prosecutions. Of course, Codes not only need to be developed and disclosed, but enforced as well. In this regard I want to encourage the Private Sector to vigorously enforce its own Code of Corporate Responsibility, particularly regarding tax evasion. Big companies especially those who are engaged in these practices must be exposed and expelled from the fraternity of honest businesses. 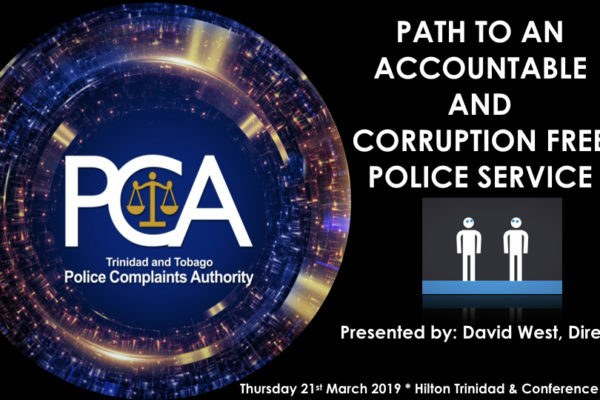 Finally, and perhaps most importantly, NIA continues to advocate that Jamaica urgently needs a more robust anti-corruption institutional arrangement. Existing anti-corruption agencies need to be consolidated into a single Anti-corruption Commission, with necessary strong safeguards against abuse and power. We are happy that the Government of Jamaica has stated its commitment to establish such a body as a priority and we are committed to continue working with the Government and other stakeholders to bring this vital Commission into being. Needless to say, we are able to continue this work and to pursue other objectives successfully only in partnership. Partnership with our international friends, particularly UK DFID and USAID, we thank them for their continued support. Partnership with the media companies particularly FLOW Cable channel who have been very, very helpful. Partnership with our civil society friends who give support to so many NIA initiatives. Very importantly partnership with friends of TI from whom we have derived so much encouragement and solidarity. In this context it is not out of order to say that we are expecting and hoping that more of our private sector businesses will step up to the plate and partner with NIA in the combat of corruption. We appreciate the first historic step taken by the six companies which disclosed their campaign contributions in December last year. Let me close by saying again how honoured we are to host this Conference and how much we look forward to sharing with colleagues. 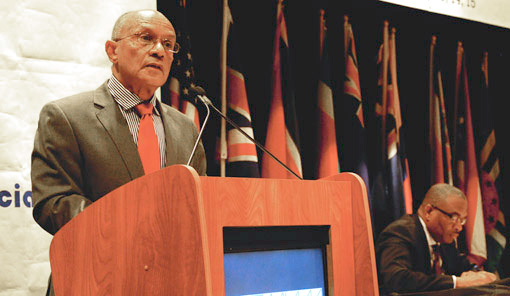 NIA’s commitment to combat corruption, without fear or favour, on a non-partisan basis is unshakeable, not least of all because we are convinced that only with the removal of this barrier, can Jamaica grow at a substantially higher rate than the 0.9% recorded over the last four decades_ one of the slowest in the world_, create decent jobs and facilitate the prosperity to which our people are capable and to which they continue to aspire 50 years after Independence.